RETIRING Rockhampton MP Bill Byrne has responded in robust fashion to Labor statesman Robert Schwarten's brutal criticism of him in the Let it Rip column in Monday's Morning Bulletin. It was my intention to remain focused on the recovery of my health since my unexpected medical retirement. Unfortunately, Robert Schwarten's comments (TMB 27 Nov), and subsequent repetition on local radio, simply cannot be left uncontested. 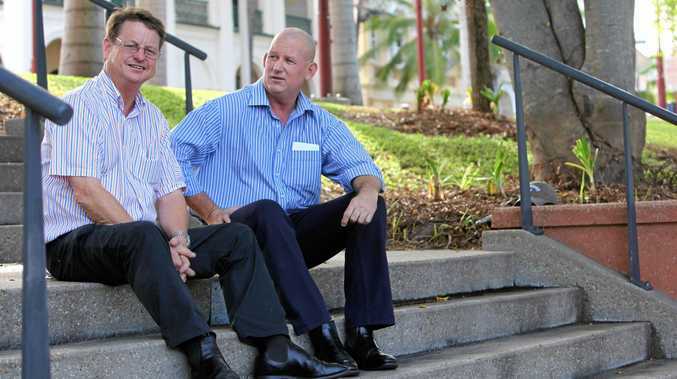 There is only one person responsible for Labor's situation in Rockhampton. Whether it was a failed mayoral campaign, that pitted Labor candidates against Labor councillors, or the recent failed Federal Capricornia campaign, or this latest ALP potential electoral disaster in Rockhampton, only one set of finger prints can be extracted from all these political crime scenes. In response to these failures we are fed misrepresentation, blame shifting, all to hide a failed judgement. Allow me to remind the people of Rockhampton that there has never been a collapse in the Labor's primary vote comparable to that following Robert's last term. Subsequently, the 2012 election reflected Robert's legacy; a primary vote of 39.8 per cent, and polling prior to that as low as 36 per cent. Robert seems to have forgotten this period. So my 41 per cent is a five per cent improvement over his polling low point. I might also point out 41 per cent was a winning position. So let's not pretend otherwise. Everyone knows the reason Margaret Strelow was not preselected as Labor's candidate. It was animosity towards her within the party. Many ALP members have witnessed abusive attacks on Mayor Strelow before, so there is no doubt about the intensity of feeling involved. Additionally, Robert's campaign involvement and views are a matter of public record and repeatedly reflected in this paper. The notion that he had no involvement; that he was somehow a casual observer in this election is nonsense. While there is more that could be said, and may well be, the final and complete closure of our railway workshops in Rockhampton is not my legacy. Does anyone believe that this recent event did not reflect in Labor stocks? Also be in no doubt, that I believe the decline in my health was exacerbated by the persistent white-anting actions of a local element of the Labor Party. The fact that Robert Schwarten has so publicly been involved in the Labor candidates' preselection and subsequent campaign is undoubtedly a significant contributor to the dramatic collapse in Labor's vote.